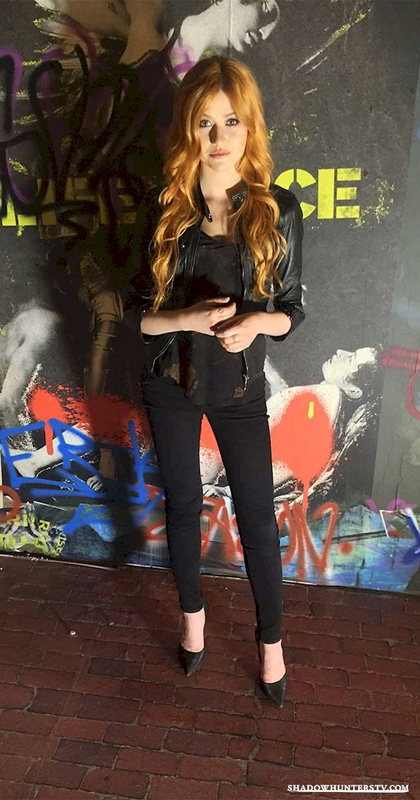 Shadowhunters @ NY Comic Con - Details Announced! Fans will have the opportunity to see exclusive new footage from the upcoming season, as well as experience a Q&A with the series' cast and creators. Big news from the Shadow World today, team. First, how awesome is Katherine in this exclusive pic from our set visit yesterday? We're coming to New York Comic-Con! The panel will take place on Saturday, October 10, from 11:00am-12:00pm on the Empire Stage. Keep checking back for more news! And for more on Comic-con, go here!